Let the experts at Flanagan Construction build your dream home today! Call us at 601-264-3682 Let us help you find the perfect house plan and then build your custom home in one of our premier subdivisions. 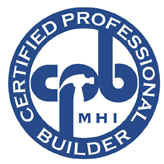 Want a custom built Home in Hattiesburg, Purvis, or Sumrall - We can help. In Business since 1982, with over 30 years of residential and commercial building in the greater Hattiesburg, MS area, Flanagan Construction will surpass your expectations and make your dream home a reality! Visit Craig’s Blog to see homes for sale or Email him if you’re interested in a custom built home. Large wooded lots with quiet country living, The Refuge residents enjoy amenities such as sidewalk street lighting, underground utilities, quiet paved cul-de-sacs, a common area for recreation, and a lake. One of the Hattiesburg area’s most exciting communities, The Refuge is conveniently located just two miles from US Hwy 98 with covenants that require homes to be a minimum of 2000 square feet. If you are looking for elegant, french country homes in the Oak Grove community Kingsmill might be just what you’ve been looking for. Kingsmill is just one mile off of Highway 98 West, just three miles from Turtle Creek Mall and Wal-Mart and two miles from the Oak Grove High School with protective covenants require homes to be a minimum of 1600 square feet. Why settle for postage-sized lots and cookie-cutter houses when you can have your choice of one-third acre home sites, custom built homes by the area’s top builders and amenities including street lights and a neighborhood park with gazebo and play ground. Clear Creek provides affordable, luxury living in the Oak Grove community. 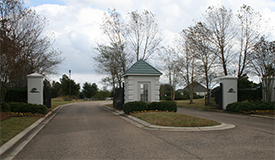 The Cottages at Turtle Creek are located directly behind Wesley Medical in Hattiesburg, MS. This planned community is especially designed for active seniors who enjoy an active lifestyle but still want a neighborhood designed around complete relaxation. If you haven’t seen The Oaks in Sumrall, MS – you’re in for a real treat. Affordable and stylish, the French country style homes in Sumrall’s hottest new development start in the $130,000s. Every home built in The Oaks is approved by the developers. If you think you cannot afford a quality home in a wonderful neighborhood, then you really need to come see us at Lost Orchard. Developed by Richard Hiatt and Craig Flanagan, Lost Orchard offers high quality brick homes on large wooded half acre lots. An upscale neighborhood where only the highest quality builders will be allowed to build. Every new home must be approved by the developers before construction can begin. 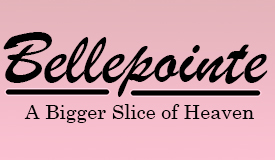 Your property value will be protected by covenants that will be managed by residents through the Bellepointe Home Owners Association. The protective covenants require homes to be a minimum of 1600 square feet. The roof pitch requirement is 8 over 12. Shingles must be 20 year Architectural shingles. The covenants also require a 10 foot side set-back, 25 feet front and 20 feet rear setbacks. All homes must be all electric. Click here to see the full covenants. Barton Park features French Country Garden Cottages, a fenced and landscaped entrance, underground utilities, landscaping with an emphasis on Native Mississippi Plants – including a Mississippi River Birch planted in each from yard! Learn why Barton Park is the right subdivision for your family! Sandstone Village is conveniently located just a few miles off of Highway 98 in Hattiesburg and offers wonderful lots at an affordable price. Open to the public, Shadow Ridge is a premier residential and golf community for the Greater Hattiesburg Area. Conveniently located less than one mile west of Turtle Creek Mall, and in the Oak Grove School district, Shadow Ridge offers a surprisingly secluded retreat for discerning homeowners and golf enthusiasts.